Over the past few months, Ferrari has been handing out small bits of information about their upcoming super sports car (currently referred to as the F70 although the production name could vary) including information on the hybrid drive system and the expected engine output. At the 2012 Paris Motor Show, the company offered a first look at the high tech carbon fiber chassis that will help to make this one of the lightest cars in the supercar/hypercar market. The company had previously been silent as to where the world would actually get to see the F70 complete and in person but many expected that it would take place somewhere in Europe. 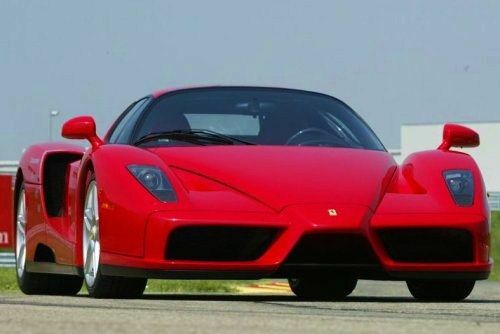 However, new reports indicate that the Enzo successor will make its debut in the good ol’ Motor City – under the bright lights of the 2013 North American International Auto Show. This is an interesting move, considering that in past years the Ferrari display was clearly little more than an afterthought – going so far as to skip the show altogether in 2009. Their presence picked back up in the past few years as a small portion of the gigantic Chrysler Group display typically with one or two cars but at the 2013 Detroit show in Cobo Hall – Ferrari will be among the headliners with the debut of their new hybrid supercar. This is an interesting move considering the low number of high end sports car buyers in Detroit (relative to other markets around the world) but with the ongoing auto industry collapse in Europe, Ferrari and Fiat management must see the US as the market more likely to gobble up these new super sports cars. The Ferrari F70 is expected to be powered by a 6.3L V12 engine packing somewhere in the area of 900 horsepower, coupled to a KERS Hybrid drive system that could add around 120 horsepower with electric power. Should these figures be accurate – or even be close to the actual output figures of the production F70 – it will comfortably be the most powerful street legal car ever produced by Ferrari. In addition to being so powerful, the expected curb weight of just 2,550 pounds would make it one of the lightest supercars on the market and when you combine huge power and a shockingly low weight – the Ferrari Enzo successor could take a shot at being the fastest car in the world in terms of top speed along with being the quickest car in the world, based on basic acceleration numbers. We can also expect an aggressive exterior design that is clearly based on the aerodynamic properties of the Ferrari race programs with superior cooling and intake air access for the mid-mounted V12 along with downforce at high speeds that rival the best sports cars in the world. Regardless of whether or not the Ferrari F70 is able to set the record for the highest top speed or the quickest quarter mile times, we can expect that it will be yet another remarkable piece of automotive engineering that will quickly secure its place in the motoring history books. The F70 (should they use that name) will follow in the footsteps of the 2002 Enzo Ferrari (shown above on the right) and before that well known model, the previous Ferrari halo models included the 1984 288 GTO, the 1987 F40 and the 1995 F50. The 2013 North American International Auto Show in Detroit’s Cobo Hall opens on January 14th for the media with the public days beginning on January 19th, 2013.